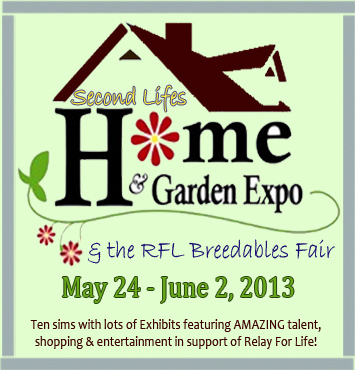 The 6th annual Second Life Home and Garden Expo opened on Friday May 24th 2013. 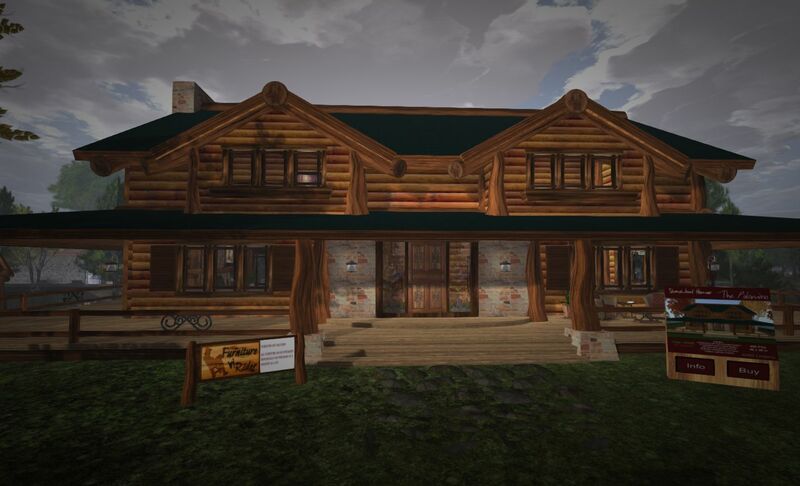 In support of Relay for Life, and covering a total of 11 regions adjoining the American Cancer Society, the Expo brings together over 100 exhibitors of the very best homes, gardens, landscaping and interior design products in Second Life. It will continue through until Sunday June 2nd, 2013. 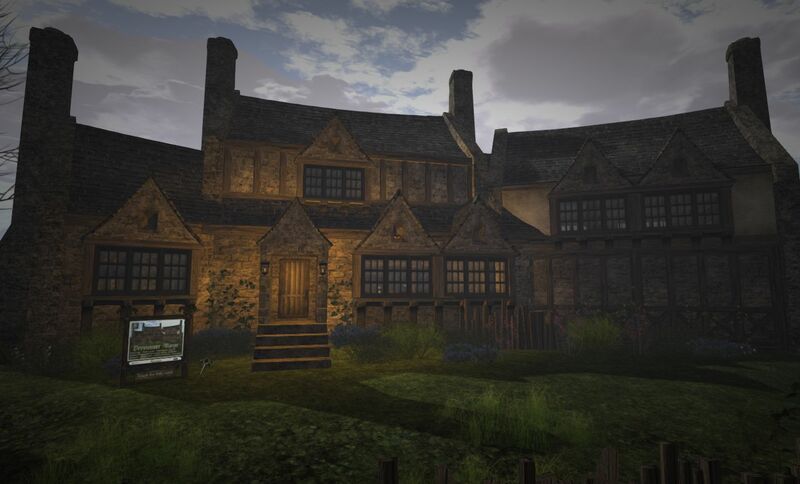 Eight of the regions of the expo are devoted to homes and gardens, while two more are devoted to the Breedables Fair, which features 30 of creators of Second Life breedable creatures. The remaining region in the exposition is devoted to entertainment and activities. The Expo is an annual highlight for those that love seeking out the latest home and garden products and combined with a full entertainment schedule, hunts, raffles and silent auctions plus items designed just for this event – you can be sure of finding stylish new products to give your home a fresh look. Entertainment at the Expo will be ongoing through the week of the event, and the best place to find out information on what is going on is the Expo’s entertainment webpage. As with previous years, the Expo has a hunt running through the week, featuring some unique prizes. There’s a L$10 entry fee (proceeds to RFL), and the hunt is “blind” hunt – meaning entrants get the landmarks/locations of all the stores in the hunt and their hint, but do not know which store they’re going to. Hints for the hunt can be found at the landing points in each of the Expo regions. A Silent Auction is also a feature of this year’s expo, with more unique items donated by creators and with all proceeds going to RFL. In 2012, Alchemy Immortalis created a lantern which formed the centrepiece of remembering all those who had survived cancer’s ravages and those who had succumbed in their battle against the disease through a special daily ceremony in which lanterns would be released and allowed to float up into the sky. The ceremony became very special to the people who attended, and so the folks at PrimPerfect have decided to host it again in 2013. So, they’ve extended an invitation for people to join them at the Prim Perfect platform on Home Expo 6 every day of the Expo at 16:00 for a communal release of lanterns both to celebrate the living and in memory of those we have loved and lost. 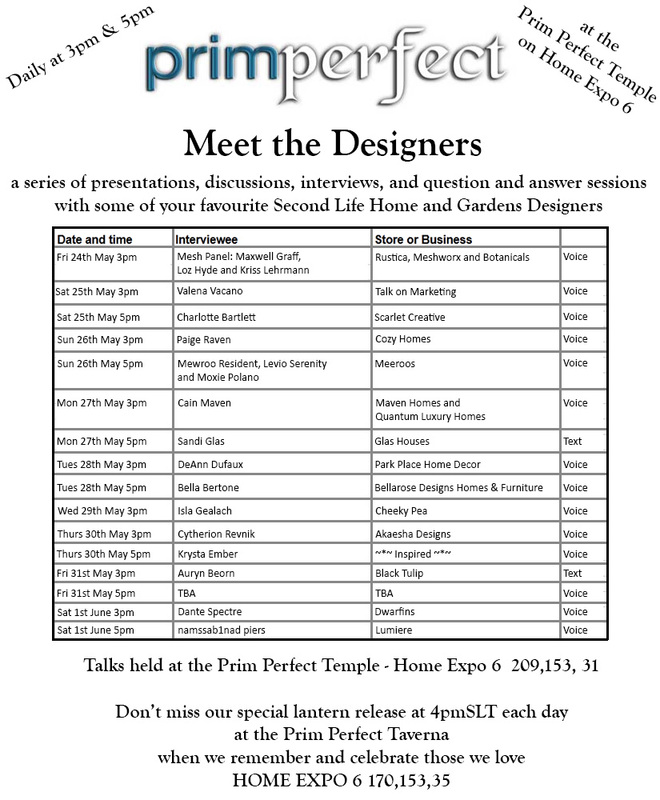 PrimPerfect are also hosting a series of talks with designers throughout the week of the Expo, starting at 15:00 SLT on Friday May 24th with Loz Hyde, Maxwell Graf and Kriss Lehmann, all of whom will be talking mesh. The talks will all be taking place at the PrimPerfect Temple at the Expo.